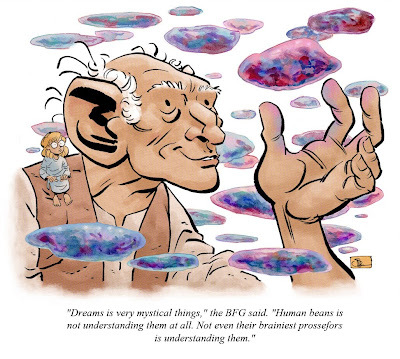 Running a little late, here's my piece for Roald Dahl week, The BFG. Like a lot of the guys I loved Dahl's work when I first started reading. As always, another great pick, Tom! i love that you've incorporated the quote. it makes it look like a real spot illustration. i loved watching the animated film as a child. good job! You did it right, man! Great work!